Open Doors Celebrates the Completion of 16 Archive Imports in 2017! Open Doors is pleased to announce the completion of 16 archive import projects in 2017, a total of over 42,000 works! We hope that you will find old and new favorites in the collections listed below. Turkfanfiction.net was a Turkish-language multi-fandom fanfiction and original fiction archive founded by Glenien in 2007 with the goal of bringing together all Turkish fanfiction writers and readers, while educating and advising them on fandom culture. As a large, multi-fandom, non-English, manually imported archive, Turkfanfiction.net was one of our most complex import projects ever! We would like to especially highlight the contributions of Glenien and her team of import volunteers for completing the import in a matter of months, the Translation Committee’s Turkish team for taking on a lot of extra expedited work, and the Tag Wrangling Committee for organizing nearly 400 tags across about 20 fandoms. Find works at the Turkfanfiction AO3 collection. For more information about the archive and its move to the AO3, see the Turkfanfiction announcement post. To learn about the history of the archive or share some stories of your own, check out the Turkfanfiction Fanlore page. HP Fandom was a gen and slash Harry Potter fanfiction archive founded in 2004. 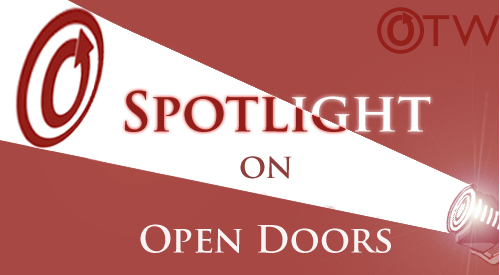 At over 8,500 works, it is Open Doors’ largest import to date! Find works at the HP Fandom AO3 collection. For more information about the archive and its move to the AO3, see the HP Fandom announcement post. To learn about the history of the archive or share some stories of your own, check out the HP Fandom Fanlore page. The Quidditch Pitch was an all-pairing Harry Potter fanfiction archive founded in 2005. Find works at the Quidditch Pitch AO3 collection. For more information about the archive and its move to the AO3, see the Quidditch Pitch announcement post. To learn about the history of the archive or share some stories of your own, check out the Quidditch Pitch Fanlore page. The Due South Archive was a due South fanfiction archive which accepted any and all works. Founded in 1994, it was one of the oldest and largest online fanfiction archives. Find works at the Due South Archive AO3 collection. For more information about the archive and its move to the AO3, see the Due South Archive announcement post. To learn about the history of the archive or share some stories of your own, check out the Due South Archive Fanlore page. The Scully Slash Archive was an X-files femmeslash fanfiction archive for pairings featuring Dana Scully, founded in 1998. Find works at the Scully Slash AO3 collection. For more information about the archive and its move to the AO3, see the Scully Slash announcement post. To learn about the history of the archive or share some stories of your own, check out the Scully Slash Fanlore page. The Basement was an X-files slash fanfiction archive primarily featuring the pairings of Mulder/Krycek and Mulder/Skinner, founded in 1998. Find works at the Basement AO3 collection. For more information about the archive and its move to the AO3, see the Basement announcement post. To learn about the history of the archive or share some stories of your own, check out the Basement Fanlore page. The Hex Files was a Harry Potter fanfiction archive focused on the slash pairing of Harry Potter/Draco Malfoy, founded in 2005. Find works at the Hex Files AO3 collection. For more information about the archive and its move to the AO3, see the Hex Files announcement post. To learn about the history of the archive or share some stories of your own, check out the Hex Files Fanlore page. Daire’s Fanfic Refuge was a Highlander fanfiction archive founded in 1997. Find works at the Daire’s Fanfic Refuge AO3 collection. For more information about the archive and its move to the AO3, see the Daire’s Fanfic Refuge announcement post. To learn about the history of the archive or share some stories of your own, check out the Daire’s Fanfic Refuge Fanlore page. A sister site of Daire’s Fanfic Refuge (see above), HL Raven’s Nest was a Highlander: The Raven fanfiction archive founded in 1998. Find works at the HL Raven’s Nest AO3 collection. For more information about the archive and its move to the AO3, see the HL Raven’s Nest announcement post. To learn about the history of the archive or share some stories of your own, check out the HL Raven’s Nest Fanlore page. StargateFan was a Stargate SG-1 fanfiction archive associated with the fansite StargateFan.com, founded in 2000. Find works at the StargateFan AO3 collection. For more information about the archive and its move to the AO3, see the StargateFan announcement post. To learn about the history of the archive or share some stories of your own, check out the StargateFan Fanlore page. The Brian/Justin Fanfiction Archive was a Queer as Folk (US) fanfiction archive dedicated to the pairing Brian Kinney/Justin Taylor, founded circa 2003. Find works at the Brian/Justin Fanfiction Archive AO3 collection. For more information about the archive and its move to the AO3, see the Brian/Justin Fanfiction Archive announcement post. To learn about the history of the archive or share some stories of your own, check out the Brian/Justin Fanfiction Archive Fanlore page. Hammer to Fall was a Blake’s 7 gen fanfiction archive founded in 1998. Find works at the Hammer to Fall AO3 collection. For more information about the archive and its move to the AO3, see the Hammer to Fall announcement post. To learn about the history of the archive or share some stories of your own, check out the Hammer to Fall Fanlore page. Bang and Blame was a sister site of Hammer to Fall (see above) focused on post-series fanfiction and meta, founded in 2000. Find works at the Bang and Blame AO3 collection. For more information about the archive and its move to the AO3, see the Bang and Blame announcement post. To learn about the history of the archive or share some stories of your own, check out the Bang and Blame Fanlore page. The Collators’ Den was a Life on Mars (UK) and Ashes to Ashes fanfiction archive founded in 2008. Find works at the Collators’ Den AO3 collection. For more information about the archive and its move to the AO3, see the Collators’ Den announcement post. To learn about the history of the archive or share some stories of your own, check out the Collators’ Den Fanlore page. The Alpha Gate archive was a Stargate SG-1 fanfiction archive founded in 2001. Find works at the Alpha Gate AO3 collection. For more information about the archive and its move to the AO3, see the Alpha Gate announcement post. To learn about the history of the archive or share some stories of your own, check out the Alpha Gate Fanlore page. The Fandom Haven Story Archive was a multifandom fanfiction archive founded in 2003. Find works at the Fandom Haven Story Archive AO3 collection. For more information about the archive and its move to the AO3, see the Fandom Haven Story Archive announcement post. To learn about the history of the archive or share some stories of your own, check out the Fandom Haven Story Archive Fanlore page. A huge THANK YOU to all of the archivists and volunteers who made these imports possible! We missed doing a roundup post for 2016 last year, but we thought those archives deserved recognition as well, so keep an eye out! Y’all are absolutely amazing! Thank you so much for all this hard work.